The technology is reportedly being deployed across the country, including in Hangzhou, Wenzhou, Fujian, and Sanmenxia. In Sanmenxia, police reportedly identified Uighur residents 500,000 times in just a month, starting February of this year. The database for this facial recognition system reportedly included tags for “rec_gender”, “rec_sunglasses” and “rec_uygur”. The latter tag was meant to indicate whether a camera identified a Uiguir, which reportedly happened 2,834 times and included images with the entry. In China, the Uighur population is treated with suspicion and oppression by the Communist Party and is heavily surveilled by authorities. Many Uighurs have disappeared into internment camps, last year watchdogs estimated that up to a million people could be incarcerated in these specially designed prisons. 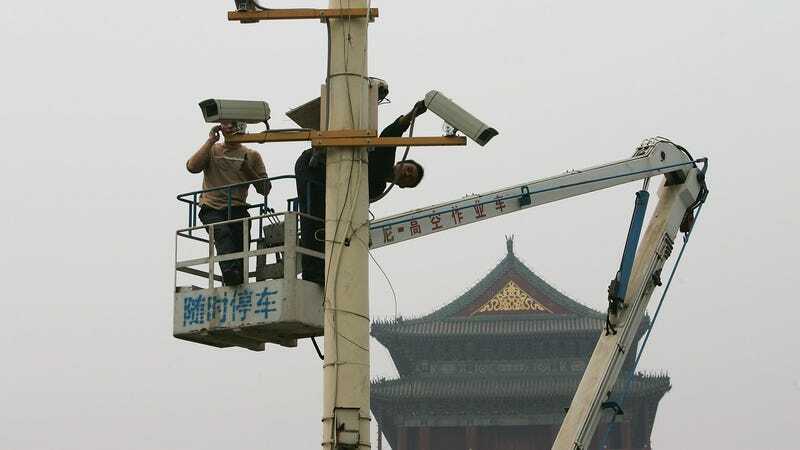 The use of widespread surveillance tools is far from uncommon in China—authorities in the country already monitor the location of alternative energy vehicles, the real-time moods of students in class, and citizen’s “social credit” scores. And these barely factor in the existing nearly 200 million cameras in the country used for surveillance. And last year, cops in the country literally wore facial recognition systems on their face in the form of smart glasses. The stated purpose was to spot fugitives, but skeptics believed they would be misused to target activists and minorities. This also isn’t the first time China has used facial recognition tech to keep tabs on the Uighur population. Early last year, a report revealed that law enforcement in Xinjiang had been using software to track Muslims in the region since 2017, and were notified whenever an individual matching that description was located over 300 meters from home or work, the Independent reported. And the Times report published on Sunday reveals that authorities are becoming increasingly comfortable using this technology to racially profile individuals—the stated purpose is no longer an innocuous misdirection for an otherwise insidious use case. Cops are seeking out facial recognition systems that blatantly target the country’s ethnic minority with increasing demand, and it’s a disturbing normalization of an already troubling technology.